That saying from the lips of Henry David Thoreau, the American essayist, poet and philosopher, reminds us that we must be that change before that change comes along. Thus whatever you or I, or anyone else, thinks is wrong with these times, so eloquently expressed by George Monbiot in his essay republished in this place yesterday, bringing about the changes that you or I, or anyone else, want has to start with the individual. That, inevitably, requires many to chose which path to follow. Last Saturday, Sue Dreamwalker of the blog Dreamwalker’s Sanctuary, published a post that truly couldn’t have been better written in terms of following on to yesterday’s post. Here it is republished with Sue’s kind permission. Crossroads~ Which path do you choose? I felt the need to post something deeper again today, and I could find no better words to write than I have already written as my thoughts go out to the many places around our globe in conflict right now. I know there are many new subscribers here to Dreamwalker’s Sanctuary this year who may not have read this post.. I thank all in advance for their contributions.. 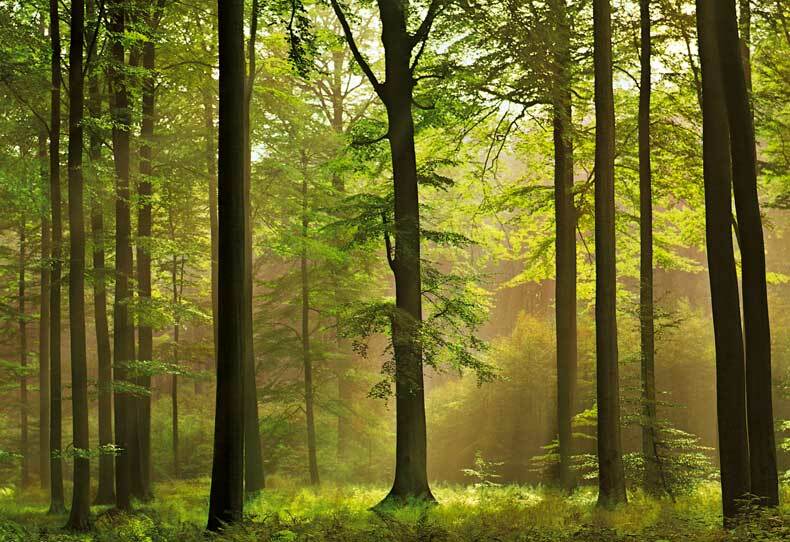 If I am slow getting back to you, it’s because I want some time to paint this weekend and walk out in nature.. So look after each other and choose your Pathway well..
“ A crossroads of time of Great External Changes and Major Internal Upheavals”. We have seen around the globe how many nations are starting to change, we are also changing ourselves internally through our awareness and intuition and I see many withdrawing into themselves as they seek peace as they set about clearing the debris of our emotional bodies, myself included as we adjust to the vibrations around us. At times all that is thrown our way is too disturbing to cope with, so we withdraw within our inner sanctuaries finding solace within Nature and our meditations.. I have to remind myself daily of the GOOD in this world as we get constantly bombarded with the BAD… So many things which are UGLY in this world which led me to revisit a post first posted in 2012.. The Good Bad and Ugly.. in which I used the Mayan quote above..
Everything in this world mirrors everything else, and everything is part of everything else, as difficult as that is to comprehend. So while we react with outrage, our rage is joining the tide of Anger already out there which is foaming back and forth in the sea of discontent. It seems as if our very Earth Mother feels that anger as she too is rumbling ever louder in the bowels of our planet as we have seen how devastating her energies can be in Earthquakes and volcanic eruptions which are now becoming more active again around our globe..
We have to be careful not to be taken down the road of Fear.. Lest it trap us into engaging in giving out more fear by our failure to see how we are all quick to judge and use our own prejudices in labelling that which we are not in alignment with. Whether that be in our politics, beliefs, or idealisms. None of us is perfect. We are now ‘Shifting’ from duality to Unity Consciousness, this was brought home again to me on how many of us are thinking similar thoughts even here on WP we see similar themes as we link into the Mass Consciousness as we join together our thoughts as we link subconsciously to the Cosmic web of thoughts..
We need to be aware of the Power of our thoughts and how we can assist in raising our planets vibration and our own collective Consciousness..
Much has been spoken upon Ascension, but first we need to ascend through our own layers as we climb ever higher, leaving behind the things that no longer serve us. We do that by not getting swept up in conflict.. by being more loving and tolerant and being compassionate rather than being judgmental holding hate and anger. We need to put the Care back in the world and if we embrace and choose Love over fear and we stop looking who to blame, but start to set examples of living in harmony and unity, then the true magnificence of who we really are can begin to manifest that ‘Golden Age’ which was once prophesied to bring about Peace.. But it’s up to us to pledge to change our own lives,and when we each start bringing back that peace within our own Lives, It’s up to each of us which road we want to take. And what dominant energy we want to prevail.. I choose Love. So said Jim Rohn, the American businessman who died in 2009. A review of the new book by Dr. Samuel Alexander. Back last November, not long after Jean and I had moved up to Oregon, I saw this on the PRI website: The Sufficiency Economy – Envisioning a Prosperous Way Down. Very quickly I realised the importance of the essay and contacted the author requesting permission to republish on Learning from Dogs. That author was Dr. Samuel Alexander and permission was quickly given, leading to two essays: The simpler life and Where less is so much more. Samuel Alexander here, from the Simplicity Institute. 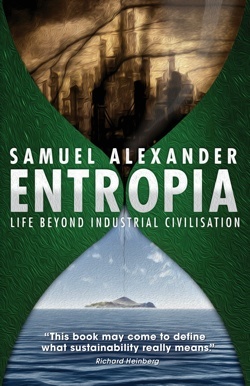 I’ve recently published a new book, Entropia: Life Beyond Industrial Civilisation. Was wondering whether you were interested in posting either a review or an excerpt on your website? I was flattered to have been asked and delighted to review the book. First, some background. Dr. Alexander is a part-time lecturer with the Office for Environmental Programs, University of Melbourne, Australia. He teaches a course called ‘Consumerism and the Growth Paradigm: Interdisciplinary Perspectives’ in the Masters of Environment. He is also co-director of the Simplicity Institute and co-founder of Transition Coburg. He writes regularly at the Simplicity Collective and posts most of his academic essays at www.TheSufficiencyEconomy.com. After the review was completed, I forwarded it to Sam just to check that I hadn’t made any technical errors. Within Sam’s reply to that email was his acknowledgement that his book fell into a genre that was not easily classified. Ergo, the book being fiction yet not a novel. Sam went on to muse that perhaps he should have been clearer about what the reader was going to get. He wondered if my review should mention that aspect. I said that I wouldn’t amend my review but would include an introduction to that effect, as now witnessed! The title of the book didn’t offer this reader any clue about what might be coming. Nevertheless, very soon an experience of an ‘ah-ha’ moment arrived. Right on page one of the Acknowledgements when this sentence jumped off the page: “Henry Thoreau has been by far the greatest influence on my worldview, for it was he who awakened me to the insight that ‘superfluous wealth can buy superfluities only’.” [my emphasis] Wow, what an intriguing turn of phrase about wealth. After the poets were banished from Plato’s Republic it is said that they set sail into unknown horizons in search of a new place to call home. But life proceeds in twists and turns, not straight lines. After losing consciousness in the midst of this perfect storm, the lost poets found themselves washed ashore on a small,fertile island, which was uninhabited and isolated entirely from the rest of civilisation. The boundless opportunities presented by this merciful twist of fate were immediately clear to all. Some people believe this simple living community flourishes peacefully to this day, lost to the world in its own harmonious, aesthetic existence. But like Atlantis, the Isle of Furor Poeticus, as it has come to be known, has never been found. The Isle of Furor Poeticus is a utopian romance of course – a myth. But we should remember that human existence has always been shaped and guided by myths and stories, so let us not dismiss the story of the lost poets too quickly or proudly. After all, we may not be so free from superstitions of our own. Modernity’s ‘myth of progress’ might itself just be a story we have been telling ourselves in recent centuries, one in fact that could soon be dismissed as a story no longer worth telling. Indeed, perhaps that book is closing before our very eyes – has already closed – leaving us to reflect on its themes from beyond as we step forth into unknown pages. And yet, it seems we have not found a new story by which to live. We are the generation in-between stories, desperately clinging to yesterday’s story but uncertain of tomorrow’s. Adrift in the cosmos, without a narrative in which to lay down new roots, humanity marches on – lost and directionless. But then again, perhaps the new words we need are already with us. Perhaps we just need to live them into existence. By choosing to do so we could again become the poets of our own lives and of a new generation, instead of merely reading out a pre-written script to an audience that is no longer listening. So open your mind, gentle reader, for the future is but clay in the hands of our imaginations. Now, it’s fair to say that at this point I was truly hooked on the book. This was going to be the read of my life. Because it reflected my own belief that humanity was at the point, perhaps beyond the point, where the growing threats to our natural world threatened our moral obligations to the generations that follow. However, somewhere during the second chapter, the style of writing started to intrude into my absorption of the story. At first the intrusion was more like a fly buzzing around; a minor irritation. Then it got to the stage where I had to stop reading and ponder on why I felt so uncomfortable with this reading experience. I was by now well into the third chapter. Still couldn’t put my finger on what the problem was. Returned to the book but noticed that I was skim reading and had forcibly to focus on fully reading each page. After all, I was reading the book for review purposes! Then it struck me. There were no characters coming to life off the page. Consequently, there was no dialogue. It didn’t read like a novel, much more like a report. That was the key to me re-establishing my relationship with the story; the book. Because despite the unusual style for a work of fiction, the value inherent in the pages was beyond measure. Here was a book that described in great detail the way a community discovered the reality of a sustainable way of life. How this group of a couple of thousand souls reinvented a society, a sustainable society, out of the ashes of a failed industrial civilisation. Eventually a short constitutional document was drafted by the Advisory Council and put to a referendum by the People’s Council, and this document received 94 per cent support. It is reproduced in its entirety below, as it serves as the best summary of our social, economic and political vision. achieve by working together in free association. can have the same freedom. Freedom thus implies restraint. age, sexuality, politics, or faith. to the same freedoms as present generations. not an ethics of growth. Efficiency without sufficiency is lost. sources of energy, and adapting to reduced energy supply. of resources and avoid corrosive inequalities. interests of humanitarian and ecological justice. rejects lifestyles of material affluence. Well that had such an impact on this reader. For this reason. The contrast between the reality of our present 21st Century life and the lives of those souls on Entropia was like night versus day. Enough, For everyone, Forever. If ever we needed a new cry from the heart, a new cry of hope and purpose, it was now and those are the words of that cry. Time to feed that tranquillity. Where less is so much more. For some time now I have been subscribing to the news feed from The Permaculture Research Institute of Australia. It originally caught my eye because Jean and I want to adopt some of the techniques of permaculture here in Oregon. However, the ‘news’ from the PRI ranges across such a broad range of topics that rarely is their regular email not worthy of detailed reading. No less so than on the 24th, just a couple of days ago, when I saw the essay by Dr. Samuel Alexander of the Simplicity Institute under the heading of The Sufficiency Economy – Envisioning a Prosperous Way Down. I started to read the essay and very quickly realised that I was reading something of profound importance, not just to me and Jeannie, but to millions of other people right across the planet. I sent an email to both Dr. Alexander of the Simplicity Institute and Craig Mackintosh, Editor of the Permaculture News asking if I might have permission to republish. Dr. Alexander quickly replied in the affirmative and also approved my suggestion of breaking the essay down into separate chapters. So, in a radical departure from my normal pattern of different topics each day, this week is going to be devoted entirely to Dr. Alexander’s essay. Tomorrow, I will include information on the Simplicity Institute, an organisation that I hadn’t heard of before, but one that deserves the broadest promotion. Please, please, dear reader, stay with the topic all week if you possibly can. I guarantee that it will change your outlook and offer real hope that mankind can turn away from the suicidal path we presently seem to be on. Indeed, I can do no better that introduce Part One using the opening words written in Permaculture News by Craig Mackintosh. I would exhort readers to ignore the potentially off-putting length of this piece, to instead step into, and allow yourself to be absorbed by, this important and worthy attempt at future-visualising. Readers who have been following my own work over the last several years will recognise and appreciate the themes covered. From my own perspective, what follows is a highly pragmatic view on the potential near-future of civilisation, and I truly feel that the speed and shape of progression (i.e. 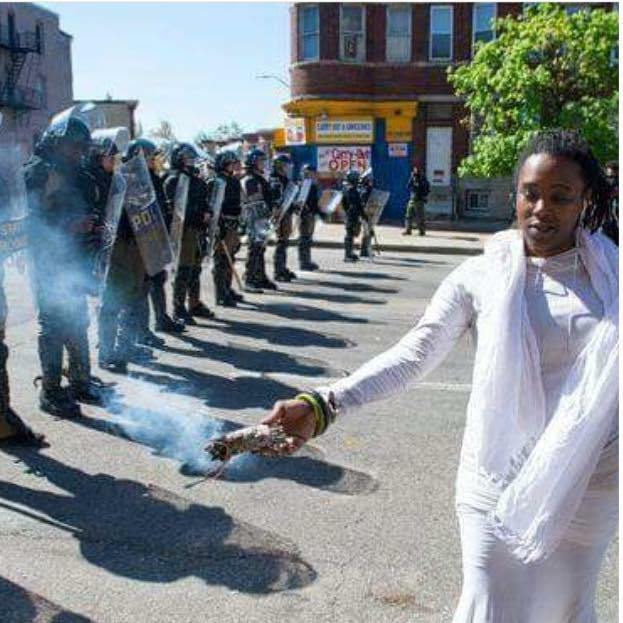 objectively and cooperatively planned and peacefully implemented), or, regression (i.e. unplanned, reactive, desperate, monopolistic and individualistic), and ultimate form of that future will largely depend on how many people are objectively considering these themes and adjusting their lives, and their influence, accordingly. Dr Samuel Alexander is co-director of the Simplicity Institute and a lecturer with the Office for Environmental Programs, University of Melbourne. If a society does not have some vision of where it wants to be or what it wants to become, it cannot know whether it is heading in the right direction – it cannot even know whether it is lost. This is the confused position of consumer capitalism today, which has a fetish for economic growth but no answer to the question of what that growth is supposed to be for. It is simply assumed that growth is good for its own sake, but of course economic activity is merely a means, not an end. It can only ever be justified by some goal beyond itself, but that is precisely what consumer capitalism lacks – a purpose, a reason for existence. It is a means without an end, like a tool without a task. What makes this state of affairs all the more challenging is that the era of growth economics appears to be coming to a close, due to various financial, ecological, and energy constraints, and this is leaving growth-based economies without the very capacity for growth which defined them historically. Before long this will render consumer capitalism an obsolete system with neither a means nor an end, a situation that is in fact materialising before our very eyes. It seems that today we are living in the twilight of growth globally, which implies that the dawn of a new age is almost upon us – is perhaps already upon us. But as we turn this momentous page in history we find that humanity is without a narrative in which to lay down new roots. We are the generation in between stories, desperately clinging to yesterday’s story but uncertain of tomorrow’s. Then again, perhaps the new words we need are already with us; perhaps we just need to live them into existence. It is not the purpose of this essay to offer another critique of growth economics, the details of which have been laid down comprehensively many times before (Schumacher, 1973; Meadows et al, 2004; Jackson, 2009; Latouche, 2009). Instead, after briefly summarising the critique, this essay will attempt to describe in some detail an alternative economic system, which I will call ‘the sufficiency economy.’ This term is typically applied to so-called ‘developing economies,’ which either have not yet industrialised or are still in the early phases of industrialisation (see e.g. Suwankitti and Pongquan, 2011). These economies are sometimes called sufficiency economies because they do not or cannot produce material abundance, or do not seek material abundance. Instead, sufficiency economies are focused on meeting mostly local needs with mostly local resources, without the society being relentlessly driven to expand by the growth-focused ethics of profit-maximisation. My point of differentiation in this essay will be to consider the notion of a sufficiency economy within the context of the most highly developed regions of the world – where an economics of sufficiency is most desperately needed – and to explore what such an economy would look like, how it might function, and how the transition to such an economy might transpire. I address this subject having been convinced that the growth paradigm has no future and that some alternative vision is therefore needed as humanity begins its inevitable transition to a world beyond growth. I put forward the sufficiency economy as the most promising alternative model, although it is one that I believe may ultimately be imposed upon us whether we want it or not, for reasons that will be explained. We can go the easier way or the harder way, so to speak, depending on our attitudes and actions. Defined and defended in more detail below, a sufficiency economy can be understood in direct contrast to the dominant macro-economic paradigm based on limitless growth. Whereas existing economies in our increasingly globalised world are predicated on the assumption that ‘more production and consumption is always better,’ the sufficiency economy described below is shaped by an acceptance that ‘just enough is plenty.’ As will be seen, the implications of this alternative economic perspective are nothing short of revolutionary. Rather than progress being seen as a movement toward ever-increasing material affluence, the sufficiency economy aims for a world in which everyone’s basic needs are modestly but sufficiently met, in an ecologically sustainable, highly localised, and socially equitable manner. When material sufficiency is achieved in these ways, further growth would not continue to be a priority. Instead, human beings would realise that they were free from the demands of continuous economic activity and could therefore dedicate more of their energies to non-materialistic pursuits, such as enjoying social relationships, connecting with nature, exploring the mysteries of the universe, or engaging in peaceful, creative activity of various sorts. How to spend this ‘freedom from want’ is the exhilarating and perhaps terrifying question all human beings would face in a well-established sufficiency economy, so defined. The analysis begins in the next section by briefly outlining the multi-faceted problems the world finds itself facing, not for the purpose of providing a thorough review of the global situation but simply to contextualise the discussion that follows. Unless one understands the magnitude of the overlapping problems we face, the relevance, importance, or even the necessity of the sufficiency economy may not be immediately apparent. Once the global predicament is outlined, the analysis proceeds to define in more detail the principles that underpin the sufficiency economy, although again this will be more a matter of exposition than comprehensive defence. The main part of the analysis then explores in some detail what economic life might be like if developed nations gave up the pursuit of growth and transitioned to some form of highly localised ‘sufficiency economy’ based on far lower resource and energy consumption. It is hoped that this analysis might provide some guidance on what it will actually take to transition to a just and sustainable society, as well as provide some deeper insight into what life might be like if we were ever to succeed. In forming the following views I have been influenced and inspired by many people, the most significant of whom I would like to acknowledge. With respect to material simplicity and ‘the good life,’ Henry Thoreau (1982) has by far been the greatest influence on my world view, followed by William Morris (2004) and the Greek and Roman Stoics (e.g. Seneca, 2004). I am also greatly indebted to my colleagues and fellow authors at the Simplicity Institute – Ted Trainer, Mark Burch, David Holmgren, and Simon Ussher – all of whom, in their own way, have deeply influenced the following discussion (see Simplicity Institute, 2012). The work of Ernst Schumacher (1973) and the Club of Rome (Meadows et al, 2004) first introduced me to the ‘limits to growth’ analysis, and Serge Latouche (2003; 2009) introduced me to the insight that degrowth, not merely zero-growth, is what is needed to achieve sustainability in overdeveloped nations. With respect to energy, Howard and Elisabeth Odum (2001) and Joseph Tainter (1988) have been my biggest influences, showing me how central energy is to the world we live in. I must also mention and thank Rob Hopkins (2008) and the Transition Movement, for providing what I consider to be the most promising framework for bringing about a just and sustainable, post-carbon world. Part Two – The Global Predicament will be published on Learning from Dogs tomorrow. A powerful example of grief and repair. Normally my week-end posts are lighthearted. But I do hope you will forgive the departure for today. The most important thing to note, and this is why so many ‘change’ ambitions fail, is that change is deeply unsettling at first. When change happens for the majority of us, often ‘forced’ on us as a result of unplanned life events, we are left deeply unsettled; a strong feeling of being lost, of being in unfamiliar surroundings. Think divorce or, worse, the death of a partner or child, reflect on how many sign up for bereavement counselling in such circumstances. Big-time change is big-time tough (apologies for the grammar!). The years following 1990 were extremely turbulent for Clapton. In August 1990, his manager and two of his roadies (along with fellow musician Stevie Ray Vaughan) were killed in a helicopter accident. Seven months later, on March 20, 1991, Clapton’s four-year-old son Conor died after falling from the 53rd-floor window of his mother’s friend’s New York City apartment. He landed on the roof of an adjacent four-story building. After isolating himself for a period, Clapton began working again, writing music for a movie about drug addiction called Rush. Clapton dealt with the grief of his son’s death by co-writing “Tears in Heaven” with Will Jennings. Here’s Tears in Heaven. Please stop whatever you are doing now and play this video. In under 5 minutes it demonstrates the power of the saying from Henry David Thoreau, the American author and poet – “Not until we are lost do we begin to understand ourselves”. 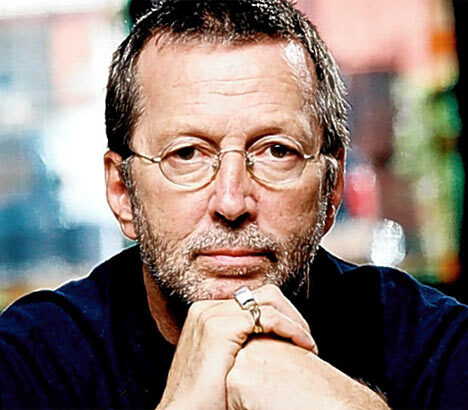 In an interview with Daphne Barak, Clapton stated, “I almost subconsciously used music for myself as a healing agent, and lo and behold, it worked… I have got a great deal of happiness and a great deal of healing from music“.